A lovely friend of mine had twins last week, a boy and a girl. 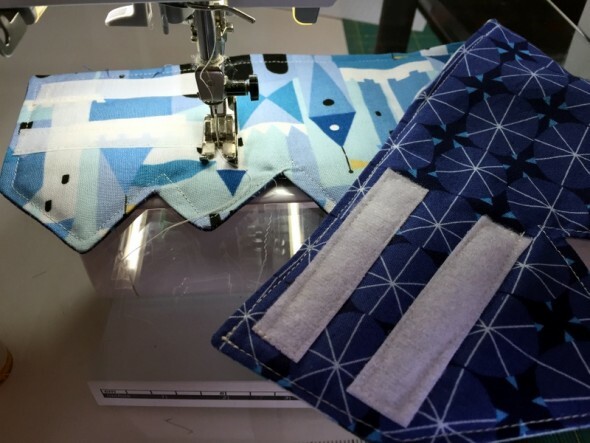 I’d meant to give these to her at a quilt guild meeting last month but couldn’t make it. 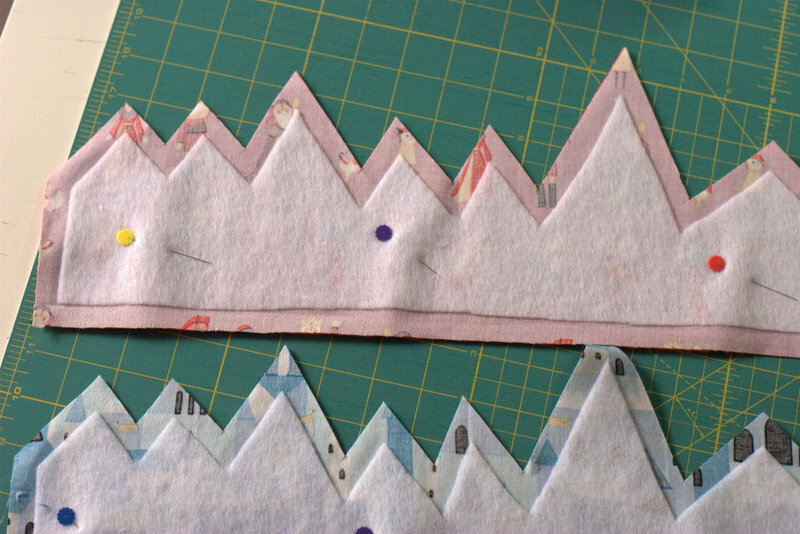 I made them using my own fabric crown tutorial, and I adjusted them to fit newborn heads. 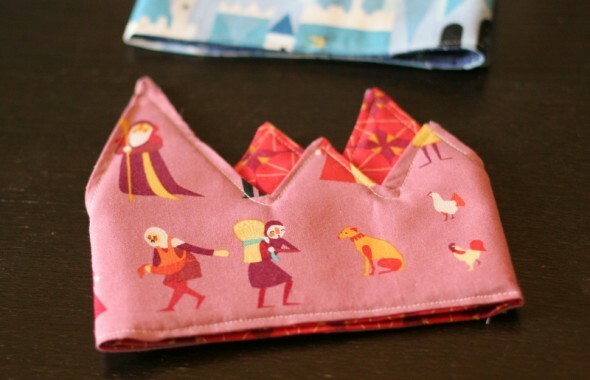 These will adjust from 13″ to 16″ circumference, and they’re reversible. Although twins are usually pretty tiny, so it may still be a while before their little heads fit them. These come together so quickly, and they’re really fun. This reminded me that I should make H a new one, she’s been wearing the one I made for the tutorial for quite a while now. 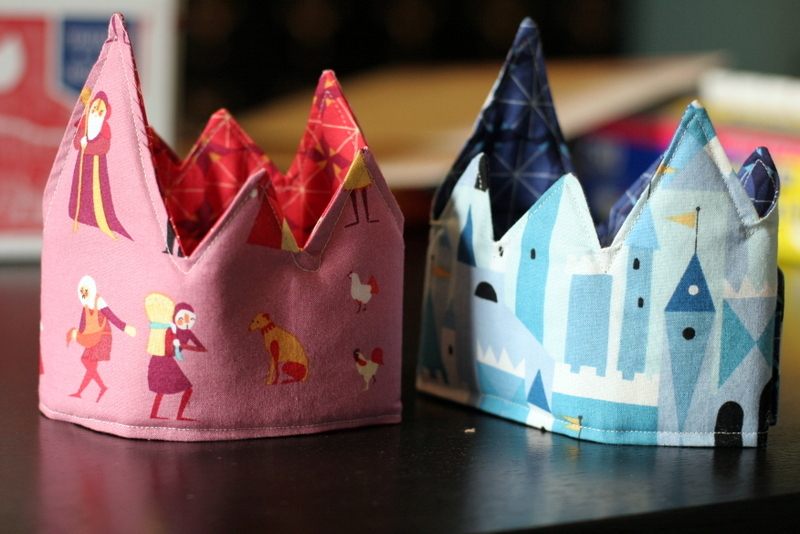 Also, these gave me a reason to finally use my Lizzy House Castle Peeps fabric, which I’ve been holding on to forever. It’s so stinking cute. I didn’t want to do an obvious pink and blue, but then I did anyway because those were the best colors and fabrics I had in the Castle Peeps collection. Some of the other combos I tried just didn’t work as a pair of crowns.